The Speed Rouline is a drum seeder on a conveyor belt which can be programmed with a digital programmable TEX display. 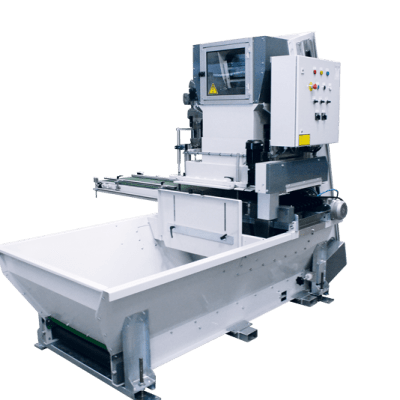 The heart of the machine is the rotating seeding drum which holds the seeds with vacuum. At the outside surface of the drum, different rows of nozzles are placed. 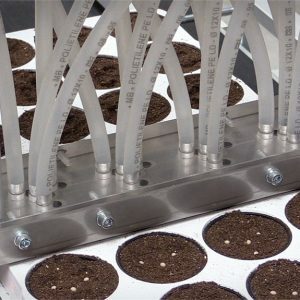 The seeds pass through a blow off bar which blows possible double seeds away from the seeding nozzles. At the lowest point of the sowing drum, the vacuum is released, and the seeds drop in the cell. After seeding, the nozzles are cleaned by blowing air through the nozzles. 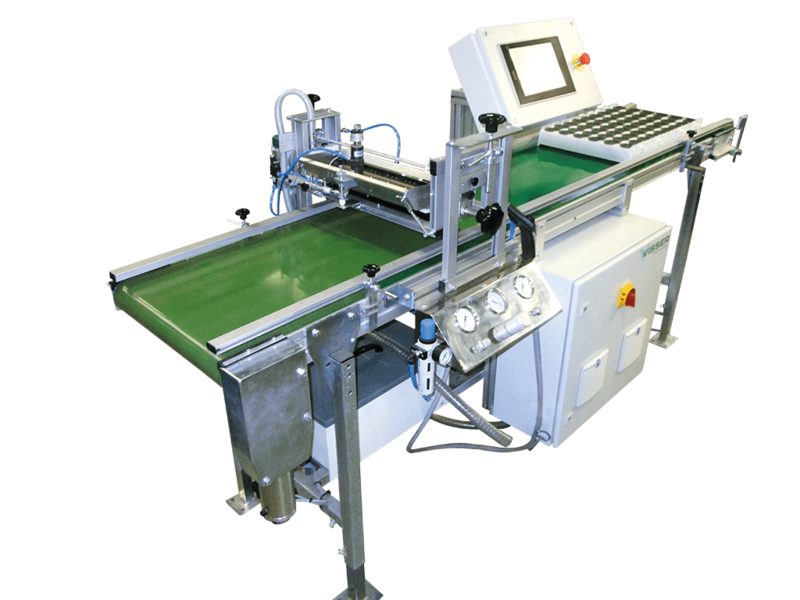 High capacity can be achieved by synchronising the speed of the sowing drum and the speed of the conveyor belt. For more information about this drum seeder, please speak with your Bellpark Horticulture sales representative or contact us.